At Your Service! Grace Ridge Concierge Program Lends Helping Hand - Grace Ridge Retirement Community - Morganton, N.C.
Make anniversary dinner reservations. Check. Schedule dentist appointment. Check. Shop for Christmas presents. Check. Book flight to NYC. Check. Get oil changed in car. Check. Buy tickets to CoMMA show. Check. Thanks to Grace Ridge’s new concierge program, these services – and so many more – are available to residents with just one phone call. Residents focus on enjoying retirement. We’ll handle the rest. “When you’re retired, you don’t want to deal with frustrating errands and spend all your time waiting on hold to make appointments – you want to relax and have fun,” said Evelyn Beaver, life enrichment director. 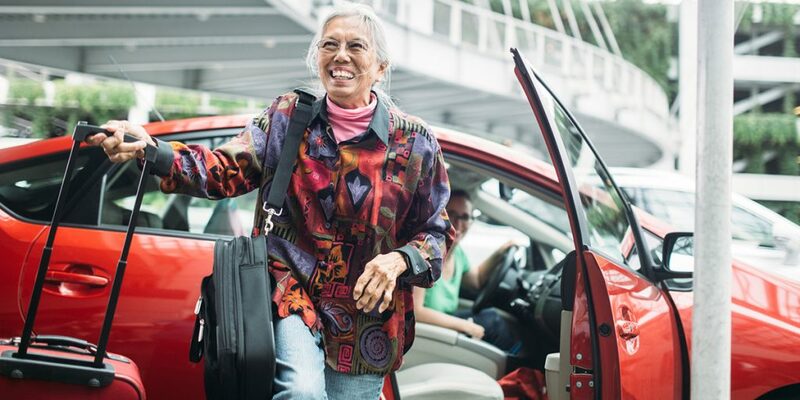 Concierge services are divided into six primary offerings to help residents manage their daily schedules, activities and tasks: personal, home, shopping and errands, entertainment and leisure, travel and technical. Personal services include making salon and spa reservations, providing respite for family members, pet sitting, housekeeping and companionship. Home services include meal preparation, ironing, assistance with organization projects and house sitting. Personal shopping and errand services include private transportation, grocery shopping, purchasing gifts and prescription pick-up. Travel services include airport transportation, packing assistance, and hotel, rental car and flight arrangements. Technical services include smartphone and computer support and helping residents set up the LifeShare mobile app. Entertainment and leisure services include making dining reservations, acquiring sporting and event tickets and helping residents make their bucket list dreams come true. Concierge services are offered Monday through Friday from 8 a.m. to 5 p.m. The cost is $25 per hour, with a 1-hour minimum. Residents interested in services after-hours, weekends and holidays services can call (828) 234-8328 for availability and pricing. Monthly packages are also available. The platinum package includes 3 hours of service for $60 month; the gold package includes 2 hours of service for $42.50 a month and the silver package includes 1.5 hours of service for $32 a month. “Gift certificates are available and make the perfect gift for a loved one,” Beaver added.